When the Jockey Club released its report on mares bred in 2017, Indiana stood out as the state with the largest increase in mares bred and stallions standing in the state in the top 10. The numbers released in the October 25 press release were based on Reports of Mares Bred (RMB) received through October 17, 2017. Overall, the Jockey Club reported that 1,342 stallions covered 31,863 mares in North America this year. While the number of stallions and mares bred declined nationally (-5.7 percent for stallions and -5.6 percent for mares bred), Indiana showed an increase of 22.92 percent for stallions and 43.52 percent in mares bred. This positive news is on top of the Indiana bred program having its first two Breeders' Cup World Championships entrants ever—Bucchero (by Kantharos) and Piedi Bianchi (by Overanalyze). Two new stallions to stand in Indiana for 2017 were Victor's Cry (Street Cry – Short Time – Clever Trick) and Dowsing (Deep Impact – Forest Rain – Caerleon), both standing at Holden Farm near Greenfield, Ind. According to the Jockey Club, Victor's Cry and Dowsing also led the state in mares bred—Victor's Cry covering 30 and Dowsing covering 28. “(Indiana is) getting better mares into the program and now we have better stallions,” Jay Holden, owner of Holden Farm, said to BloodHorse MarketWatch editor Eric Mitchell earlier this week. The Indiana program is lucrative, with breeders earning 20 percent of the total purse and stallion owners get 10 percent of the total purse when your horse wins a restricted race at Indiana Grand Race Course & Casino. If an Indiana-bred wins an open race, they can earn up to an extra 40 percent of the total purse if the horse wins or comes in second or third. “What attracted us to Indiana from Michigan was the strong breeding program and the breeder's awards here,” said Pat Doran, owner of Oak Ridge Farm in Palmyra, Ind. 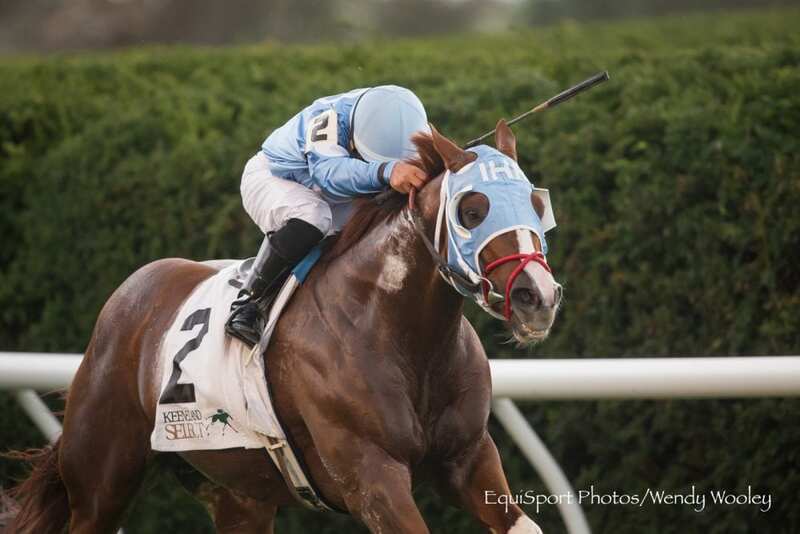 This entry was posted in The Biz and tagged bucchero, dowsing, Horse Racing, Indiana, indiana breeding, Indiana Grand, Indiana Horse Racing Commission, Jessica Barnes, overanalyze, piedi bianchi, reports of mares bred, The Jockey Club, thoroughbred, Victor's Cry by Press Release. Bookmark the permalink.